Angel wing cookies an old family recipe. I usually have homemade cookies in the house. When my kids were younger and still in school, I always made sure that I had cookies baked for their lunches. Now that they are young adults I still like to have cookies in the house for them. I will usually send a few cookies with our kids so that they can enjoy them in their dorm, apartment, or where ever they are living at the time. I like to think that I am sending a little piece of home with them. Another reason I like cookies is because they are a quick snack and everyone likes cookies. Most of the time anyway, once again we have the thing where my family has their likes and dislikes when it comes to eating. I think everybody likes chocolate chip, I mean who wouldn’t like chocolate chip cookies. But when it comes to cookies like oatmeal raisin, peanut butter and so on not everybody in the family will eat those. The cookies that I am talking about today, everybody enjoys. It is a cookie once again that my Mom made for my siblings and me when I was a kid. Hey, maybe that is another reason I like to bake cookies, it reminds me of my childhood and my carefree life. 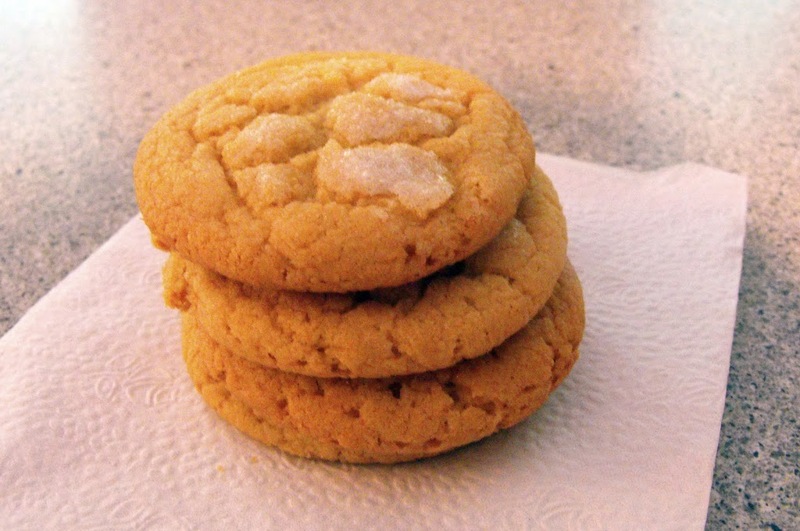 Well anyway, Angel Wing Cookies are like a sugar cookie in a way, but not quite a true sugar cookie. They do have some brown sugar in them which give them a little different flavor than a sugar cookie. 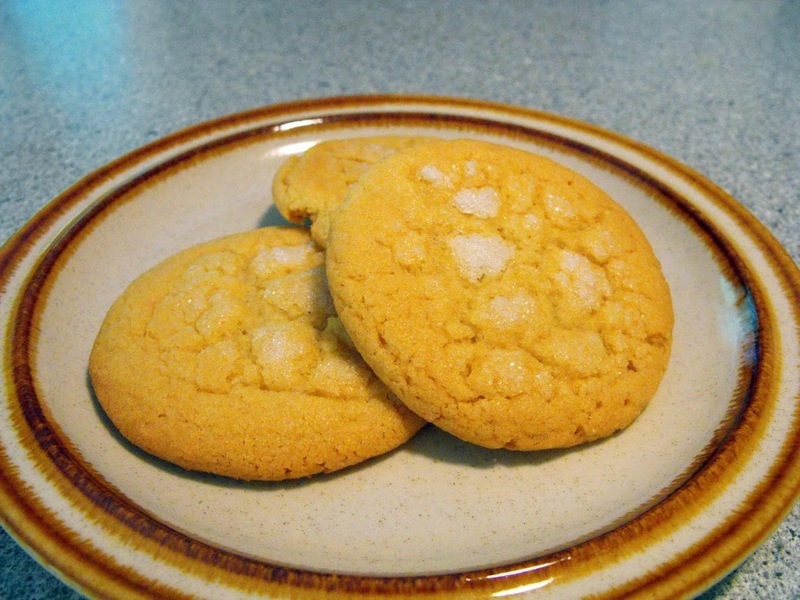 The cookies have a buttery flavor and are just a little bit on the crispy side. The cookies are dipped in water and then in sugar before baking so they have a crackled appearance on top when baked. I think this makes the cookies a little more special. Cream shortening, sugars, egg, and vanilla together. Sift flour, cream of tartar, soda, and salt and add to creamed mixture. Mix well. 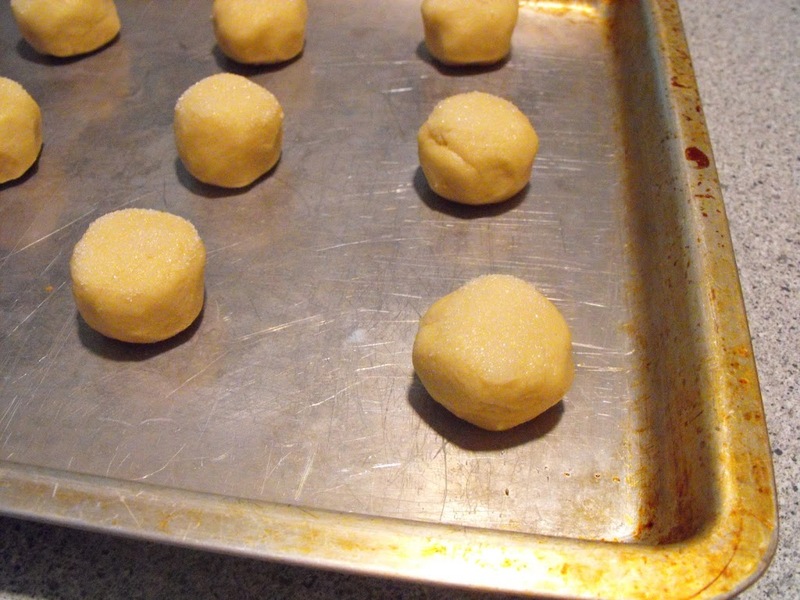 Roll into small balls, dip top half in cold water, and then in sugar. Bake in a 375-degree oven until delicately browned, 10 to 12 minutes. I love the names of these and that crackly sugar on top! I don’t know anyone who doesn’t like a homemade cookie – they’re the best treats! Love homemade cookies! I believe they are the best. Those angel wing cookies look so lovely! grand children as they were growing up. I wanted to make them again. but had misplaced the recipe. They are very good and different from regular sugar cookies. Thank you so much. Thanks for stopping by Roberta. My mom made these cookies for me and my siblings when I was a kid. They are a yummy cookie. I hope that you will check out some of my other recipes.